…at least I try. I don’t do it perfectly, but I serve a grace-filled God who is excessively patient with me. When was the last time you read the story of the Israelites and their journey to the Promised Land? It’s a story I’m consistently intrigued by. Probably because for many years I would scoff at those ridiculous Israelites and wonder why they were so stubborn. Then my years increased, my heart softened and I saw more clearly that the reflection in the mirror was equally as stubborn. I’ve always boasted that I would follow wherever God leads. But that’s easier said than done, isn’t it? The older I get the more I realize that I place conditions on my ‘follow’. I commit to obey God but only within acceptable parameters. I agree to follow God but only within predetermined boundaries. In all simplicity they were initially told to prepare… do whatever is necessary, stand guard and posture yourself to move. Then they were told to follow the Ark… where God’s Spirit rested… in other words, follow the Holy Spirit. If the Israelites did not prepare then they wouldn’t be ready to follow. If they did not follow then God would have no need to part the waters. Several months ago I sensed that God was doing something different inside me. He was asking me to prepare. Posturing myself to move meant really empowering my team (staff & volunteers) to lead in ways I hadn’t challenged them in the past. As I waited for God to ‘part the waters’ and show me my next step I got frustrated with His perceived silence. Praying for clarity & direction, I continued to wrestle with God asking Him for that ‘next step’. Then two weeks ago it occurred to me. My own words rang in my head, “Follow the Holy Spirit”. Though I had prepared to move, I was holding back waiting for God to show me what lie on the other side of the raging Jordan river. And yet, that’s not for me to see… at least not yet. First, I have to follow. I had no idea what lie ahead but I knew clearly that I was still standing on the threshold of a door God was asking me to shut. So, I stepped off the threshold and shut the door. 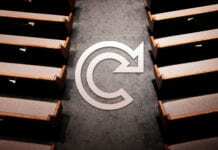 I resigned from LifeChurch.tv as the OKC Campus LifeKIDS Pastor. It’s an odd, surreal thing. I never imagined that God’s next step for me would be outside the boundaries of LifeChurch.tv. That’s when I understood that I was willing to follow Him anywhere… as long as it existed within the LC.tv organization. That was a sobering reality. So, I shut the door, cleaned out my desk, packed up my coffee mug and said goodbye to an organization that has made tremendous impact on me as a leader, as a pastor and (ultimately)as a child of Christ. I’m beyond grateful for all I’ve gained in my tenure at LC.tv. I’m humbled by the care they show for me and my family. And I’m excited for the incredible work God will continue to do in my absence. Thank you Craig, Jerry, Sam, Kevin, Sprad, Werner, McLaren, GT, Ally & Cathi. Leaders who saw more in me than I saw in myself. A self-described Christ-follower, wife, mom, writer, speaker, kids’ pastor and coffee snob, Gina McClain cannot organize a closet to save her life, but can paint a vision for why the closet should be organized and recruit the talent to make it happen. She formerly served as a LifeKIDS Pastor at the OKC Campus of LifeChurch.tv. 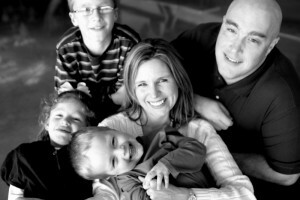 You can find out more about Gina and her love for children’s ministry at GinaMcClain.com.